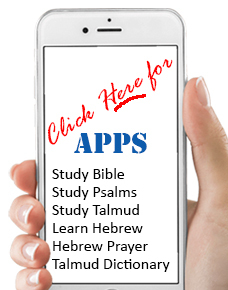 Learn Hebrew grammar effortlessly using Davka Dikduk – the leading program for learning basic Hebrew grammar. If you read Hebrew and know some basic vocabulary, it's the perfect next step. Davka Dikduk uses informative and imaginative lessons, combined with challenging and entertaining quizzes and exercises, to help you grasp the intricacies of Hebrew grammar. Developed by an expert Hebrew-language educator, Davka Dikduk introduces the initial principles of Hebrew grammar in a fresh, new way that makes learning basic Hebrew grammar painless and even fun. Davka Dikduk's specially designed interface makes learning basic Hebrew grammar a very intuitive process. All of the exercises, quizzes, and information screens are there to help you understand the underlying principles of Hebrew grammar. Colorful screens abound, and lively background music and sound effects make Davka Dikduk motivating and enjoyable.